Box Text: The Hunt For a Serial Killer Has Never Been So Terrifyingly Real. A cunning and ruthless killer is taunting authorities with a series of grisly murders. As FBI Agent Ethan Thomas, your investigation will pit you against the most violent side of humanity as you unravel clues left by the killer. ─ Stay alive using any weapons you can from firearms to lead pipes to whatever you can pry from the fully interactive environment. ─ Unprecedented high-definition graphics and meticulously crafted 5.1 surround sound plunge you into a world of violent crime. ─ Use sophisticated forensic tools to investigate crime scenes and uncover evidence in this intense one-of-a-kind psychological thriller. 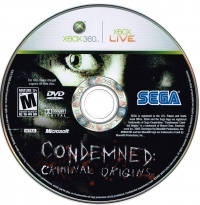 This is a list of VGCollect users who have Condemned: Criminal Origins in their Collection. 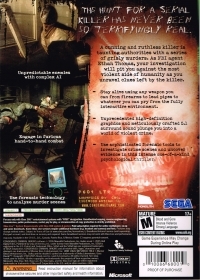 This is a list of VGCollect users who have Condemned: Criminal Origins in their Sell List. 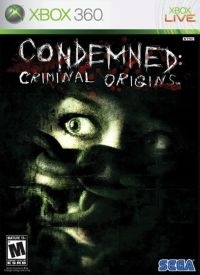 This is a list of VGCollect users who have Condemned: Criminal Origins in their Wish List.